It’s move-in day for college freshmen on the Ole Miss campus. Nobody wants to fit in more than Cali, a bright, small town girl with family secrets too scandalous for the well-to-do to imagine. Sorority rush is weeks away and without a pedigree, Cali doesn’t have much of a chance at membership. Her dorm room alone is as plain as a cardigan sweater, while the girls next door have one that would make the finest of designers swoon. Wilda, Alpha Delta Beta alum and rush advisor, has a daughter rushing in the fall, but Lilith, the well-heeled House Corp President, sees Wilda as a pushover and will stop at nothing to ensure her own daughter’s legacy bid. Inside the Alpha Delt house, Miss Pearl has been housekeeper and second mother to the girls for years, even though it reminds her of a painful part of her past. When a chance for promotion arises, Lilith slams her Chimmy Choo heel down fast, crushing Miss Pearl’s hopes of a better future. But once Wilda and the girls find out, they devise a plan destined to change Alpha Delta Beta—and maybe the entire Greek system—forever. 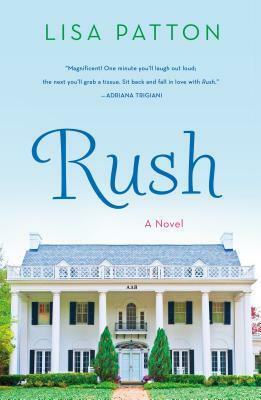 Lisa Patton's Rush takes a sharp nuanced look at a centuries-old tradition while examining the complex relationships between women and what happens when they dare to use their voices. Achingly poignant yet chock-full of humor, Rush is an uplifting novel universal to us all.